We are continuing our interview from yesterday with Dr. Tom Williamson and Dr. Thomas Carr regarding their research on the new species of tyrannosaur, Bistahieversor sealeyi. This is the final part of the two-part series. NMMNH P-25049, incomplete skull and skeleton of juvenile Bistahieversor sealeyi, as seen on display in the New Mexico’s Seacoast Hall at the New Mexico Museum of Natural History and Science in 2004. 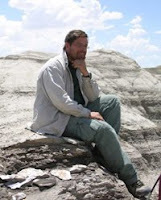 RKHF to TW: You are a very well respected paleontologist who has worked for over 20 years in the badlands of New Mexico on a variety of projects. How did this research work into your larger overall work studying the Late Cretaceous through Paleogene evolutionary history. TW: I have been very interested in the biostratigraphy of vertebrates in terrestrial deposits as well as their paleobiogeography; that is the study of the ancient stratigraphic and geographic distribution of vertebrate animals. As the fossil record of Late Cretaceous and Paleogene vertebrates improves, we are able to get more precise ages of various vertebrate faunas and this allows us to correlate much more accurately between faunas distributed among numerous depositional basins scattered throughout western North America and the rest of the world. This is allowing us to build up a better picture of the movements of different groups of animals over the globe. When this is combined with the evolutionary history of certain clades of animals, such as dinosaurs, we can begin to see patterns of how dinosaurs moved and evolved in response to global events such as climate change, changes in global sea level, changes in connectivity and dispersal routes between different biogeographic areas, and provinciality. RKHF: What are the origins of the name Bistahieversor sealeyi? 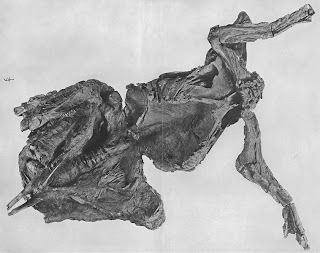 TC: Tom and I really wanted to credit Paul Sealey, who discovered the holotype (the adult) specimen. So the species name was an easy choice. If I recall correctly, Tom wanted to acknowledge both the BLM and the Navajo Nation, so he suggested using the Navajo term “bisti”, which means “place of the adobe formations” and also is part of the name of the “Bisti/De-na-zin Wilderness area”. I suggested “eversor”, which is Latin for “destroyer”, instead of “saurus” or “tyrannus”, which are used quite frequently. The name is pronounced “bis-tah-hee-ee-versor”; if you say it enough times, it rolls off the tongue quite easily! RKHF: What does the discover of Bistahieversor tell us about dinosaurs that lived in the American southwest? How does it help to fill in our view of this part of the world, since more seems to be known about the American northwest and southern portions of Canada. TW: Most dinosaur faunas of late Campanian age have, until recently, come primarily from the northern Rocky Mountain Region, especially Montana and southern Alberta. Few dinosaurs have been documented from more southerly regions until very recently. Now faunas are becoming better documented from New Mexico, southern Utah (Kaiparowits Formation), and West Texas (Aguja Formation), and even Mexico (Cerro del Pueblo Formation, Coahuila, Mexico). These show that there was pronounced provinciality among dinosaurs so that each basin has a largely unique dinosaur fauna. Tyrannosaurs show a similar pattern so that each depositional basin that contains an identifiable tyrannosaur taxon has an endemic genus and/or species. This is not true of the latest Cretaceous when only one tyrannosaur is known from across western North America; Tyrannosaurus rex. This remains a mystery, but might partially explain why dinosaur faunas are so diverse in the late Campanian compared to the late Maastrichtian. RKHF: Do you think there were geographical barriers between the northern portion of the US and the southwest US that would have restricted movement, and if so, to what degree. TW: There is no evidence for geographical barriers between northern and southern regions of the US that I'm aware of, other than simple latitudinal differences. In addition, we see distinctive differences in the dinosaurian faunas between nearby areas of the southwest such as southern Utah and the San Juan Basin. It's not clear if these differences are due to slight age differences between the faunas or if they reflect something else. It's all very puzzling, but that's what makes it so interesting. RKHF: What type of research is currently in your future? TC: I presently have two projects on the go regarding T. rex ontogeny, and two others on Daspletosaurus diversity and ontogeny. Also, Tom and I will produce a monographic treatment of Bistahieversor, so this short article is a taste! TW: Recently, I have focused on the early Paleocene vertebrate record in the San Juan Basin. This record is one of the best in the world, spanning about four million years in the interval immediately following the mass extinction that wiped out so many of the latest Cretaceous dinosaurs and other animals. The early Paleocene was a time of ecological recovery during which animals and plants, and especially mammals underwent rapid evolutionary change, accompanied by an explosive increase in diversity and morphological variation. This is considered one of the best examples of an evolutionary radiation and is one of the most significant events in mammal evolutionary history. I am working with several colleagues including Anne Weil (Oklahoma State University), Ross Secord (University of Nebraska), Dan Peppe (Baylor University), and Steve Brusatte (a PH.D. student at Columbia University and the American Museum of Natural History) to explore, in unprecedented detail, the changes in faunal and floral changes and how they might be related to local and global climate change. We also plan to examine the evolutionary radiation of mammals in western North America using this refined record and by applying new analytical techniques. RKHF to TC: Can you tell us more about your Vertebrate Paleontology program at Carthage College? TC: At Carthage I offer a variety of courses to undergraduate students, including: Introduction to Vertebrate Paleontology, Dinosaur Evolution and Extinction, Comparative Anatomy of the Vertebrates, Human Evolution, Independent Study in Dinosaur Evolution and Ontogeny, and Senior Thesis in Dinosaur Evolution and Ontogeny. I also offer a field experience for students, but that is not always for credit hours. In short, my goal is to provide students with the training that they require for success in graduate school. Presently there’s a trickle of students, so more are always welcome! RKHF to TW: Can you tell us more about your Vertebrate Paleontology program at the New Mexico Museum of Natural History and Science or your work with the University of New Mexico? TW: As a Curator of Paleontology at the Museum, I am conducting an active field based research program. My primary research area is in the San Juan Basin of northwestern New Mexico and the most distant parts of this are within about a 3 hour drive of Albuquerque. Much of this land is on federal land administered by the Bureau of Land Management and I work closely with that agency to share data and coordinate fieldwork. I am also an Adjunct Assistant Professor at the University of New Mexico, Albuquerque. Some of my research has previously been funded by the National Science Foundation and the Bureau of Land Management. As part of my research program, I collect fossils using a variety of methods. We employ screen washing to collect microvertebrates. Microvertebrates consist primarily of isolated teeth or jaw fragments. These are small enough that they are usually not collected by typical surface collecting techniques. Through screen washing we are finding many new or previously poorly known mammal specimens and this is greatly increasing our understanding of Cretaceous and Paleogene mammals of the San Juan Basin. We are also employing other collecting techniques and have had increasing success at recovering more complete vertebrate specimens. Over the past several years we have been very successful in collecting partial and nearly complete skeletons of mammals, reptiles, and other animals. These have greatly enriched our understanding of the morphology and biology, and evolutionary relationships of these animals. Thanks to the Museum's collecting efforts over the past twenty years, it now holds the largest collection of vertebrate fossils from the San Juan Basin. Abstract: Skeletal remains of Late Cretaceous (Campanian and Maastrichtian) tyrannosauroids are rare in southwestern North America (Carr and Williamson, 2000). Historically, the identity and diversity of southwestern tyrannosauroids was unclear because most of the fossils were isolated teeth and bones that are not diagnostic of known genera or species (Carr and Williamson, 2000). One partial skull and skeleton (OMNH 10131) from the upper Campanian of New Mexico was referred to the problematic tooth taxon Aublysodon cf. A. mirandus, a referral that was later falsified (Lehman and Carpenter, 1990; Carr and Williamson, 2004). Recently, two fairly complete skulls and skeletons were collected that enabled a review of tyrannosauroid fossils from the Campanian of New Mexico. These specimens provide the opportunity to accurately characterize Campanian tyrannosauroids of the southwest, and recover their phylogenetic relationships with well known species (Carr and Williamson, 2000). We report the presence of a new genus and species of deep-snouted tyrannosauroid from the upper Campanian of New Mexico, represented by several specimens including the partial skeleton of an adult and a juvenile. This new taxon is part of the diversification of deepsnouted tyrannosauroids and emphasizes the high species richness of this widespread clade in the upper Campanian of western North America. Carr, T. D., and T. E. Williamson. 2000. A review of Tyrannosauridae (Dinosauria: Coelurosauria) from New Mexico. New Mexico Museum of Natural History and Science Bulletin 17:113–145. Carr, T. D., and T. E. Williamson. 2004. Diversity of Late Maastrichtian Tyrannosauridae (Dinosauria: Theropoda) from western North America. Zoological Journal of the Linnean Society 142:419–523. Lehman, T. M., and K. Carpenter. 1990. A partial skeleton of the tyrannosaurid dinosaur Aublysodon from the Upper Cretaceous of New Mexico. Journal of Paleontology 64:1026–1032. 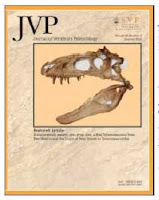 The featured article in the January 2010 issue of the Journal of Vertebrate Paleontology names a new species of tyrannosaur, Bistahieversor sealeyi (pronounced: bistah-he-ee-versor see-lee-eye), which was discovered in the Bisti/De-na-zin Wilderness of New Mexico. This research was conducted by two of my colleagues and friends, paleontologists Thomas Williamson of the New Mexico Museum of Natural History/University of New Mexico and Thomas Carr of Carthage College, who graciously agreed to let me interview them about their recent work. This is the first part of a two-part series. Tune in tomorrow for the second half. RKHF to TW: Briefly tell us about your work prior to the discovery of Bistahieversor. TW: The San Juan Basin contains a fantastic record of Late Cretaceous through early Eocene deposits. Vertebrate fossils have been collected from these deposits for well over 100 years. As a graduate student, I studied early Paleocene mammals and their stratigraphic distribution in these strata. After being hired by the New Mexico Museum of Natural and Science in 1994, I launched a vigorous field program to explore Cretaceous rocks in search of vertebrate fossils. This resulted in the recovery of numerous dinosaur specimens including a skull of Parasaurolophus (1995), a partial skeleton of a subadult tyrannosaur (1995), that is referred to Bistahieversor, a skull of a new pachycephalosaur, Sphaerotholus (1998), and the skull and skeleton of Bistahieversor (1998). Much of this work was conducted with the assistance of Museum Volunteers including Paul Sealey. He discovered the Sphaerotholus and the adult Bistahieversor specimens. RKHF: Tell us about the discovery of Bistahieversor. TW: Paul Sealey, a volunteer at the Museum who has worked with me for many years, found the specimen on a weekend trip to the Bisti/De-na-zin Wilderness back in 1997. He photographed it and showed the pictures to me. One of the pictures showed a dentary with a tooth. 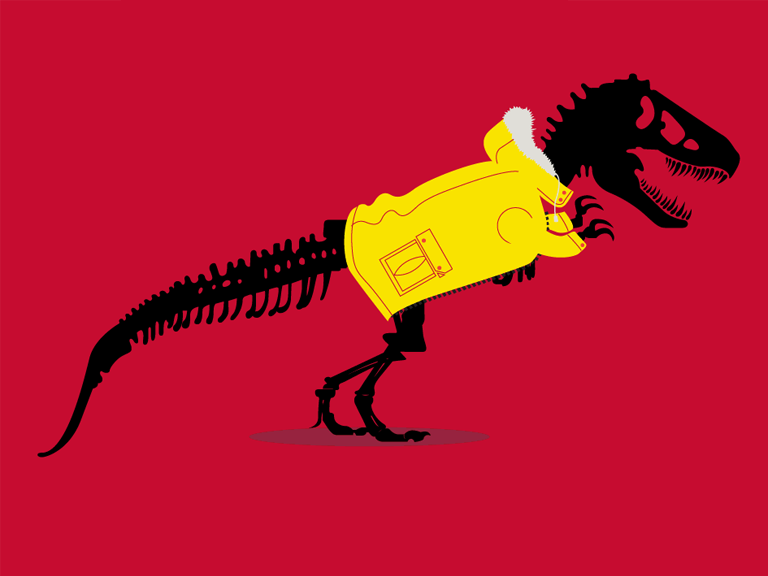 From that, I knew he had found a tyrannosaur. I worked with the BLM to obtain an excavation permit, the first ever issued for a paleontological excavation on Federal Wilderness (or so I've been told). I collected the specimen during the summer of 1998 with help from lots of volunteers. The New Mexico Army National Guard volunteered to lift the specimen from the wilderness as part of a training exercise in September of that year. 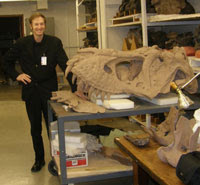 Preparation on the specimen did not start until about 2001 and was completed in 2003. 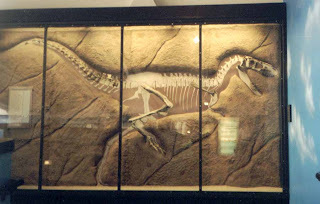 The specimen is now on exhibit in the Cretaceous Seacoast Exhibit at the New Mexico Museum of Natural History and Science. RKHF to TC: You are a renowned tyrannosaurus researcher - how did you become involved in this particular project? TC: Tom Williamson invited me on board back at the Chicago SVP meeting in 1997. Some time before that he requested a copy of my Master’s thesis. On the strength of that, he wanted to work with me in writing up the juvenile specimen. The adult was discovered a short time after SVP, if I recall correctly. RKHF: What formation was the Bisti Beast collected from and what is its age? Tell us a little about the world Bistahieversor would have lived in and what other types of animals it would have lived around - or eaten! TW: Bistahieversor is from the Upper Cretaceous (upper Campanian) Hunter Wash Member, Kirtland Formation. The age is based on radiometric dates obtained from volcanic ashes above and below the fossil horizons as about 74 million years. This is slightly younger than most other late Campanian dinosaur faunas described from western North America - those tend to be closer to about 76 million years in age. The Hunter Wash Member represents an alluvial floodplain environment, inland from the western edge of the Western Interior Seaway. The San Juan Basin was a lush tropical forest at this time. The vertebrate fauna included abundant mammals, turtles, lizards, crocodilians, and dinosaurs. Dinosaurs included the hadrosaurs Kritosaurus and Parasaurolophus, the pachycephalosaur Stegoceras (Sphaerotholus is known from slightly younger deposits), the ceratopsian Pentaceratops, ankylosaurs, "raptors" such as Saurornitholestes and Dromaeosaurus (known primarily from teeth, but also from some foot bones), ornithomimids, and tyrannosaurs. Bistahieversor is the only tyrannosaur certainly identified from these rocks. 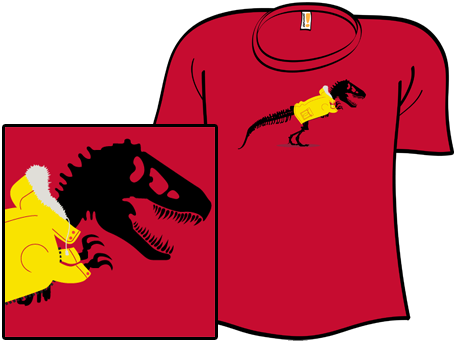 However, previously some workers have incorrectly referred isolated teeth to Albertosaurus. It turns out that these dinosaurs cannot be distinguished by isolated teeth alone. RKHF: What are some of the particular characteristics that make Bistahieversor unique and how do these characters compare to other known relatives of Bistahieversor? TC: In Bistahieversor there are numerous autapomorphies, and the salient ones are described in the article. For example there is a pneumatic foramen in the lacrimal above the orbital fenestra, this opening is absent in all other tyrannosauroids; there is a single pneumatic foramen in the lateral surface of the palatine, whereas there are two in all other tyrannosauroids from the level of Appalachiosaurus on up; there are seven prongs that extend from the nasal into the frontals, whereas the usual number in tyrannosaurids is three; there is a keel formed by the angular and prearticular along the lower edge of the mandibular ramus, whereas these bones meet along a flat surface in tyrannosaurids; a deep flange extends dorsally from the lower margin of the rostral mylohyoid foramen of the splenial, whereas in other tyrannosauroids (from the level of Appalachiosaurus on up) this flange is absent; finally, there is a notch in the angular that secures the dentary, this notch is absent in tyrannosauroids from the level of Appalachiosaurus on up. RKHF: Are there any obvious ontogenetic variations between the adult and "teenager" Bistahieversor specimens? TC: The subadult specimen is referable to B. sealeyi based on the common possession of the supernumerary processes of the nasal that extend into the frontal and the single pneumatic opening in the palatine. As in tyrannosaurids, such as Albertosaurus libratus, Tyrannosaurus rex, Tyrannosaurus bataar, and Daspletosaurus sp., the subadult is delicately built, whereas the adult is much more massive; the internal sinuses are not inflated in the lacrimal, as they are in the adult; the lacrimal horn is small, whereas it is enlarged in the adult; and the palatine is not inflated as it is in the adult. Overall, the difference between the subadult and the adult are identical to those seen in other derived tyrannosauroids. However, some difference are not seen in tyrannosaurids, such as the subadult possessing an ectopterygoid that is inflated relative to the adult; in tyrannosaurids the reverse is true. Tomorrow (if not earlier) I plan to have a two-part interview with Dr. Tom Williamson and Dr. Thomas Carr on their newly published tyrannosaur, Bistahieversor. Please stay tuned! Way back in March of last year I helped to pass on information about a Geologic Art Exhibit at the Two Wall Gallery in Vashon, Washington. It sounds like the show was a success with work from around 50 earth scientist from around the world being displayed this past November. You can view images of the art work that was displayed here. The image to the left is called Trilobite Coquina by Ancil Meacham. Be sure to check out all of the beautiful art that was submitted for the show. "We plan to host another exhibit of work done by geoscientists, Geo sapiens II, later this year. In addition, we hope to coordinate similar shows at other sites across the country and possibly overseas at about the same time, and so we invite you to help with that effort and assist with the advertising and organization of geo-art shows in your neighborhood. If you are interested in participating and helping with an exhibit in your neighborhood, let me know and we'll share ideas. I can say from personal experience that it's a LOT of fun and not nearly as much work as it seems. And you get to meet a mess of people in your profession and have a few beers with them! What could be better than that?" I really hope they will have another show. I think it would be great to see some of this cool art, while also seeing more of the wonderful paleo-art that is out there also displayed! I knew Charles H. Sternberg had written the books Life of a Fossil Hunter (1909) and Hunting Dinosaurs in the Bad Lands of the Red Deer River, Alberta, Canada (1917). I was unaware that he had written a book of poetry in 1911 - A story of the past or The romance of science. It is such a cool compilation of poems, really a must read. Hat tip to Andy for pointing it out, and for mentioning that it is available on Google Books - so go check it out (Life of a Fossil Hunter is also available)! Below if one of my favorite poems from the book. With the rich store from Nature's book. On many wondrous scenes I look. To Converse County then I came. That often crown some high divide. While here the dead for ages sleep. Those beds of sand from fossils free. And not a single fossil win. That not a single skull will yield. And follows it to cedar crest. I work on steadily with the rest. I stumble on a weathered horn. I'd weeks of disappointment borne. To find a huge skull buried here. A mighty skull before us lay. To know a skull at last we find! George has found a pelvic bone. To Lusk, where we our fossil ship. A story that George has to tell. And he the prize has surely won. Let's quickly to the place repair." "No," says George, "unload your duds. Twelve feet across, from left to right. The carcass of our Trachodon. And so, you see, the prize I've won." With bloated body on the wave. Skin clinging fast to bone and breast. His flesh had all been atrophied. Like a great curtain there it falls. His arms stretch out imploring aid." The boys their hunger can appease. As if he'd died but yesterday. The crags and canyons echo round. For days of toil, for dangers past!" Of this great reptile Trachodon. To advance science?" you will ask. To tell you it will be my task. Diagonally, too, one at a time. While other teeth were coming in. With hind limbs, like a tripod rose. Who preyed on reptiles such as he. His body was in armour clad. He Lived In Water, not on land. Was blotched with scales, both small and thin. Lined by rosettes and little scales. Like the propellers of a fleet. A wondrous creature, and so grand. His duck-billed head three feet in length. Like straddle-boards on roof they ride. Are strongly built, of mighty strength. Through the green rush and shining reed. And here our reptile stops to feed. While rushing by the waters flow. And gathered armsful of rich food. That into a great stomach pass. He's finished breakfast, if you please. To the smooth surface of the lake. The gurgling waters 'neath his feet. Urges the heavy mass along. The foam is rising on the blast! Beneath the foaming waters white. The foam marks out the course he'll take. But now to work; I'll dream no more. Our work lies in the old lake's floor. Is the great problem we must face. A trying task for us to move. They're heavy, and they weigh like lead. That soon becomes as hard as stone. It well protects the brittle bone. Like chunks of iron there they lay. We're only four, my sons and I. To move these masses we will try. This specimen that we have found. And to it now our wagons pull. With levers lift it from the ground. Repeat the process till we're through. Dear friends, it's only just begun. We hitch four horses,—"Please don't talk." They will not pull. So we unhitch. Full twenty miles from camp, I know. This load to me worth more than gold? "The ranchman's busy," so I'm told. For all the bones on earth, they say. To help me in my direst need. And went to show the road, you see. He only charged three dollars a day. Alas! he knew his team would balk. So full three days all squandered they. The man got his three dollars a day. Who'd do their duty, so 'twould seem. Beside the railroad station door. Sternberg, Charles Hazelius. 1911. In the Laramie. Pages 80-87 in A story of the past or The romance of science. Sherman, French and Company - Boston. Osborn, Henry Fairfield. 1916. Integument of the Iguanodont Dinosaur Trachodon. Memoirs of the American Museum of Natural History 1: 38 and Plate V. Images hosted on Wikimedia Commons. "Why is a formation named that?" "How did that formation get its name?" "Is that [town/landmark/place] named for the formation?" "Where is the original [or type] location for that formation?" The US Geological Survey maintains a great resource online - the GEOLEX, or "Geologic Names Lexicon." You can use this site to search for the answers to questions like the ones above, and many other things! It is a great resource I utilized when working on paleontological resource reports for the National Park Service over the past four years. This one was easy for me, as Dewey Bridge is less than an hour from my house and I drive by it often when I go to Moab, Utah. It is off Highway 128 and crosses the Colorado River. There is a Grand County, Colorado, but I am not familiar with a Dewey Bridge there. 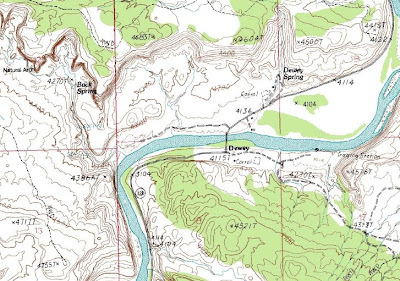 Oddly enough, the Dewey Bridge in Utah is also in Grand County, which got me to thinking there might be a mistake. So I went back to the USGS, this time looking at their Map Locator tool in the store area. I typed "Dewey Bridge" into the search box provided and *bam! * it takes me to Grand County, Utah. Not yet fully convinced, I click on the Dewey Quadrangle the locator found and download the quad. When I zoom into the Dewey Bridge area (see picture below), sure enough, the locality information given by the USGS matches. So I think, in this one small case, there is a tiny, but easily fixed and figured out, mistake on the USGS page. Another way I could have done it was just to look for the Entrada Formation on the geologic map of Colorado in Grand County, but the only Jurassic I saw there upon quick look is Morrison Formation. I know from personal observation that the Entrada Formation is present in the Dewey Bridge area of Grand County, Utah. While the USGS recognizes the Dewey Bridge as the oldest member of the Entrada Formation in this area, the Utah Geological Survey includes it in the underlying Carmel Formation (it seems to vary between the two depending on you you talk to). Some fun info about Dewey Bridge (pictured above) - it was built in 1916 and at that time connected this then remote portion of Utah with Grand Junction, Colorado, the areas largest city. It was listed on the National Register of Historic Places and was also the longest suspension bridge in Utah until its destruction. On April 6, 2008, a six year old boy who was playing with matches at a nearby campground accidentally set the bridge, and surrounding area, on fire (read the full account here). The county is now in the process of raising funds to restore the bridge [link to more information]. Picture from the Grand County, Utah webpage, of the April 6, 2008, fire at Dewey Bridge. A picture I took this summer (August 25, 2009) of what is left of Dewey Bridge with the Entrada Sandstone in the background. I hope these two tools, the USGS map locator and GEOLEX, are either something you already knew about and get use from or will help you to answer your own geologic questions someday! Post and images © ReBecca K. Hunt-Foster, unless otherwise stated. Thanks to Tom Holtz and Donna for permission to use their quotes.